The Colosseum is a very remarkable place. The facts and history that happened in it is amazing. First, we will discuss what happened what happened in the murderess colosseum. Then, how it affects present day. We will start with the history first. Let’s go back 1945 years back. Back in 70 AD, two years after Nero was overthrown and killed,Emperor Vespasian wanted a place where gladiators or animals could fight to the death. So, Emperor Vespasian had the Colosseum built on top of Emperor Nero’s palace that was destroyed. On June 23, 79 AD, Emperor Vespasian died, and his son Titus became Emperor. 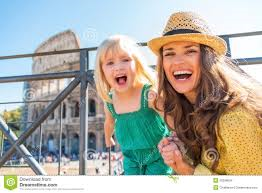 For the last year of the construction of the Colosseum, Emperor Titus watched his dad’s creation come to life. 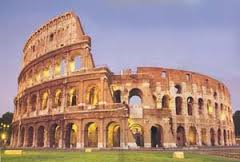 Finally in 80 AD, the Colosseum was finished. Then the Colosseum was finished, the battling began. It started as man versus animal. When Rome would attack other people, they would take people as slaves and gladiators. The gladiators would be put into the Colosseum to fight either wild animals, other gladiators, or high ranked Roman officers. But, the gladiators did not accept being put into the arena. So, the cool thing is that some of them would kill the animal and then rebel, throwing swords and other objects to kill the audience. Eventually they would start making wild animals battle other wild animals. But people wouldn’t come to the Colosseum unless it was gladiator vs gladiator. The modern day history of the Colosseum is just as amazing. It is the 37th most visited place in the world. Every year there are about 4.2 million people who visit the Colosseum. 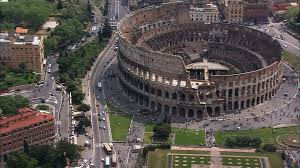 When you visit, you will see how the Colosseum has gone to ruin,. All you have to do is use your imagination and visualize all the people who died in it. Imagine the crowd cheering for someone to die. Now, it’s a museum that you can tour. My point is that the Colosseum is still probably one of the most popular monuments today. That back then was a murderous entertainment show. Everyone is paying money for bloodshed. Nowadays, we would be arrested. 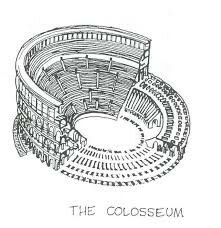 Nowadays the Colosseum is still popular with no action. But still do pay money to get it.